Very quick update. 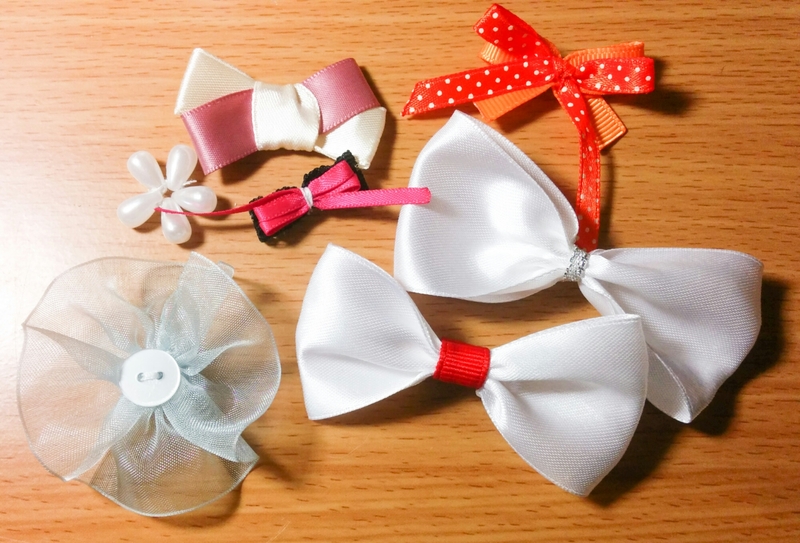 Made some more bows. 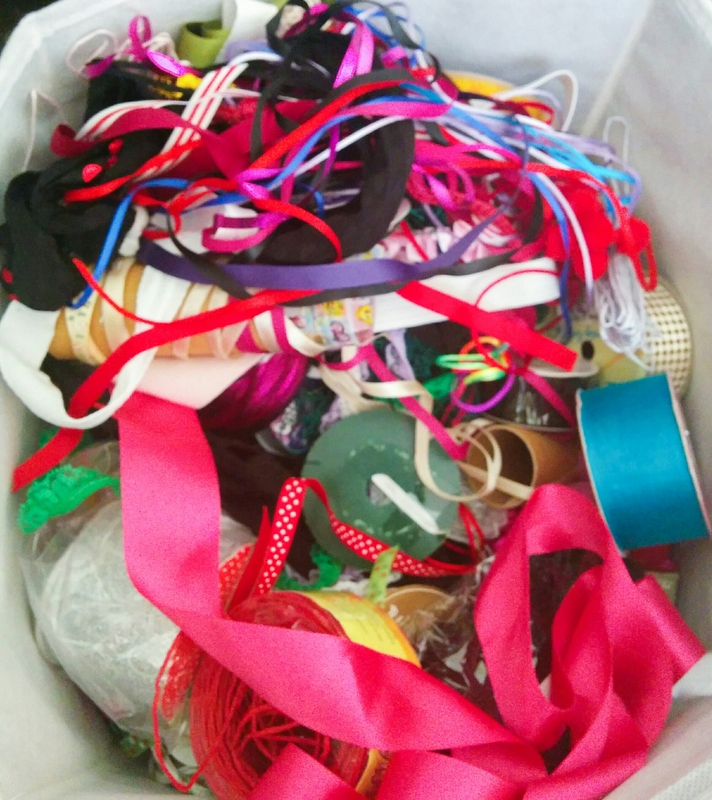 So much easier with half sorted ribbons and lighter sealing methods. I haven’t been working on a large project, apart from cards for family, so not much to show lately. Not great for blogging fuel, but I am planning a couple of ideas for larger blog posts. Hopefully I’ll get around to doing them. I tried getting my sleep pattern to be better lately, but it turns out being a zombie all day gets even less done than sleeping most of the day away, and having short bursts of energy. It is also more dangerous in my case. I’m lucky I figured out how to use the two button safety lighter. Sleep well, and sweet dreams. 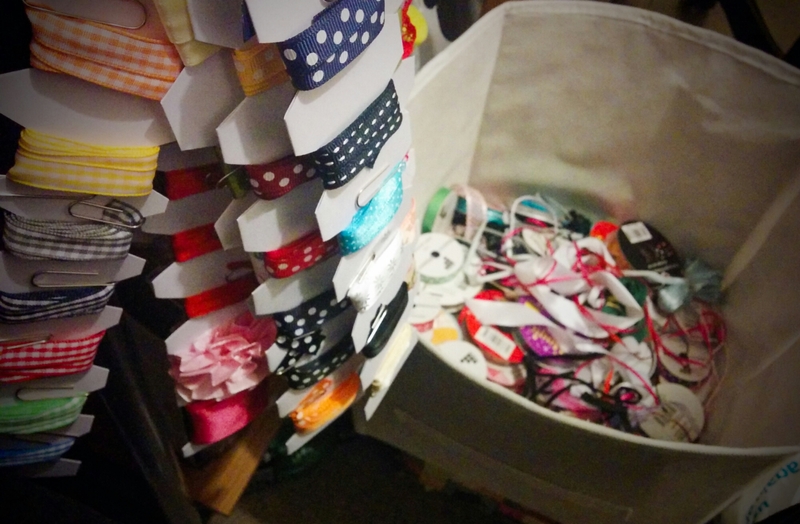 It was decided of a committee of one that I needed to make more headbands. Once the motion was passed, these two were created. The one with the stars was made, because I bought some scrap squares and glitter tulle in various colours. The squares are great for making bows, so I picked out a pattern and began hand stitching one. I was watching movies while I made them, so I couldn’t use my sewing machine. The glitter in the tulle got absolutely everywhere. Maybe spraying it with some sort of fixative or hair spray would help keep some on the fabric. 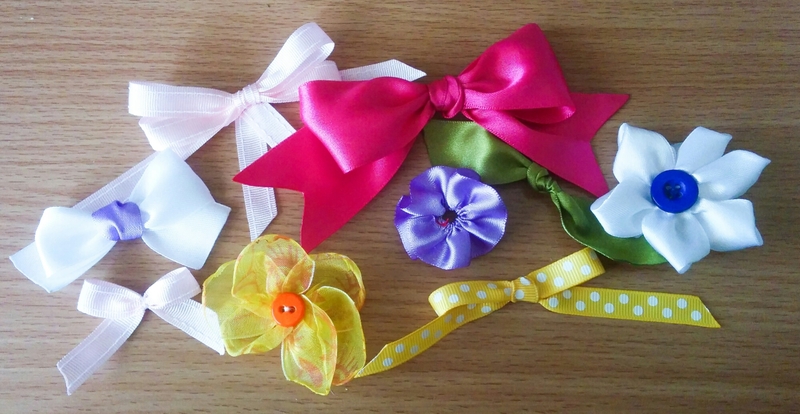 I used the green one on this, that’s why I matched it with the headband and ribbon, but it’s hard to tell in the photo. 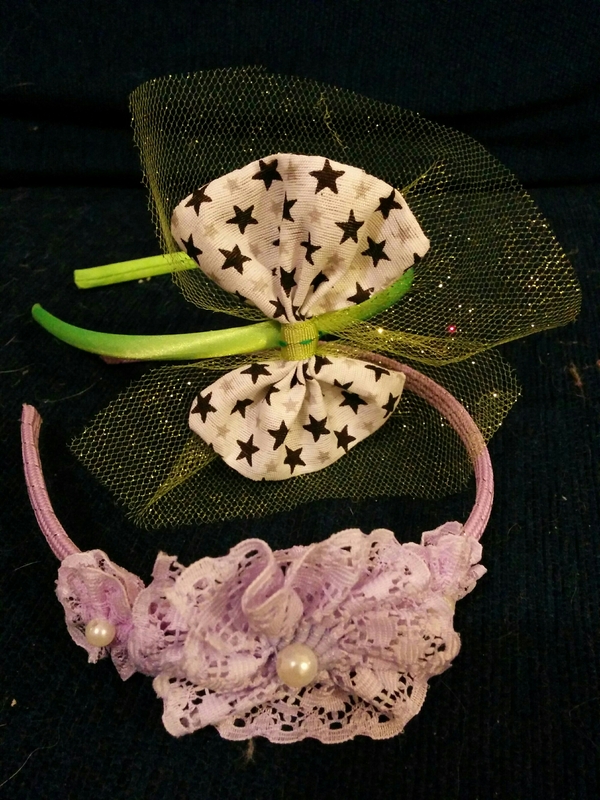 The other came about while I was looking for the green ribbon to match the tulle. I found some lace in my ribbon/lace/elastic/twine/raffia box. I thought I picked up the same ribbon, but it was the same colour, in two different widths. This made it better, as I could vary the flower sizes. I should make a butterfly themed headband to go with my new scarf. I love butterflies. Eventful day. With a headache and company, I didn’t get a lot done. At the end of the day, I tried making chain mail to no success. 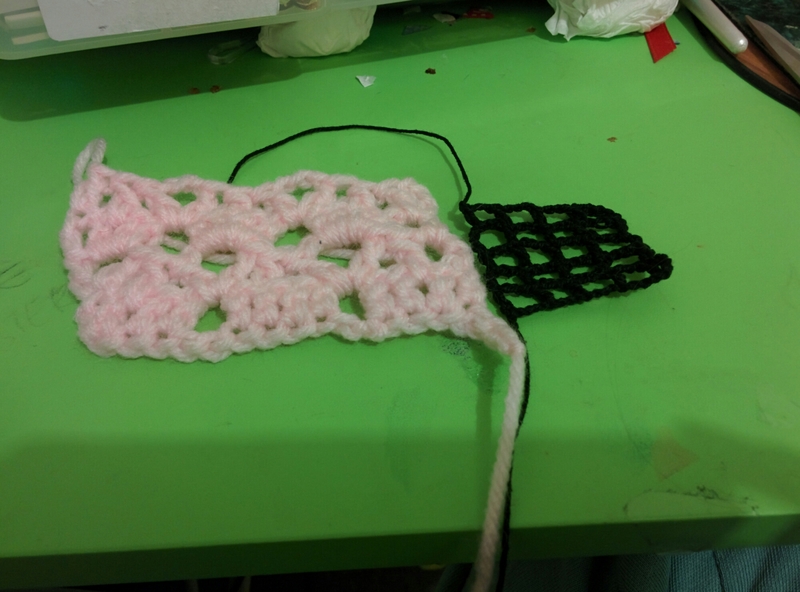 My brain couldn’t process which way the links needed to go, so I gave that up for some crocheting. I attempted a grid that I thought I could thread ribbon through for a bracelet, then I tried a cupcake stitch that I saw on Pinterest. Doesn’t look as yummy as the picture, but I thought it’d make a cute edging on a baby blanket. I spent the day covered in glue, as I paper mached my way through ideas, while watching design ideas on Ted Talks on YouTube. There was some lovely ideology and a few methods of thinking that could be applied to my own ideas and projects. After my nanna nap (the kiddens were frustrating and definitely needed a rest,) I cooked dinner, and worked on my digital painting until my hand cramped up. Unfortunately this didn’t take long at all, but I did get a few key things done, such as cleaning up the edges and swapping the full black background for a transparent one, which will make it better for applying to a t-shirt. I also noticed that she didn’t have much of a wrist, and fixed that. After a time and kitty cuddles, I was able to move my hand enough to sew. 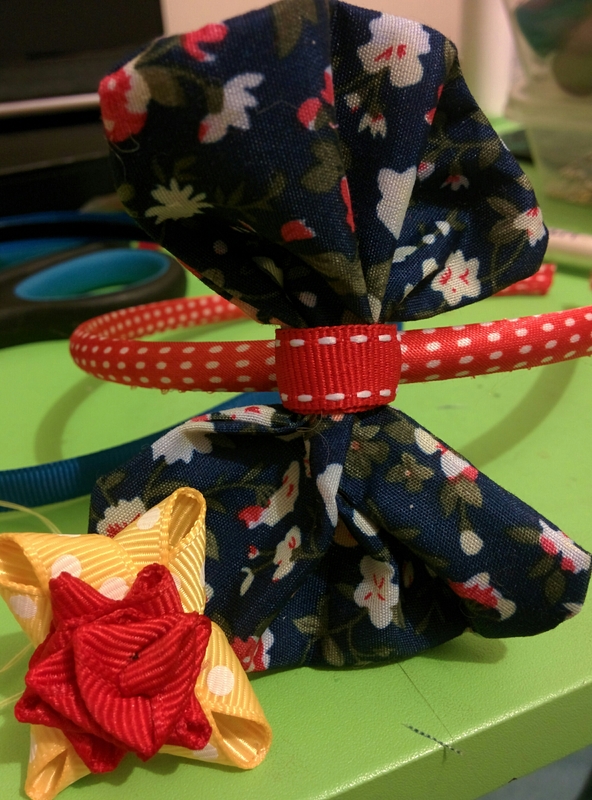 I keep meaning to get out my sewing machine, but I decided I’d hand sew while watching a movie, so I made a bow. I usually use one square and fold it in half to make a rectangular bow, but I realised you get a much fuller bow if you start with two squares. So, I made up the bow, and got out my ribbon box to match the centre to the fabric. Then I had to find my headband box to make it into a headband. It’s nice to have everything clean, but then I have to re-find everything. While I had these boxes out, I found another headband that I had stared a while ago that I wanted to match with my superman shirt. I had glued blue ribbon to the headband base, but stopped there. I got out some red and yellow ribbon and came up with the design above. Half way through the rose making, I was going to give up, because the rose looked weird. I ended up liking the stylised look and went with it. 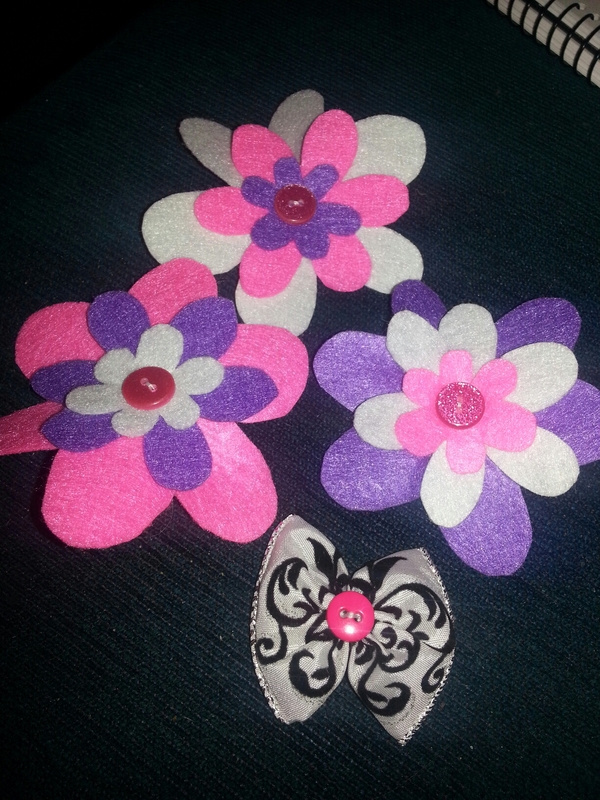 Felt flowers and a ribbon bow. I used my new marking pen on the felt. It worked nicely, but now I have to wait and see how it disappears. I couldn’t use it on the purple because it was the same colour, so I pinned one of the other flowers to it and cut it out. 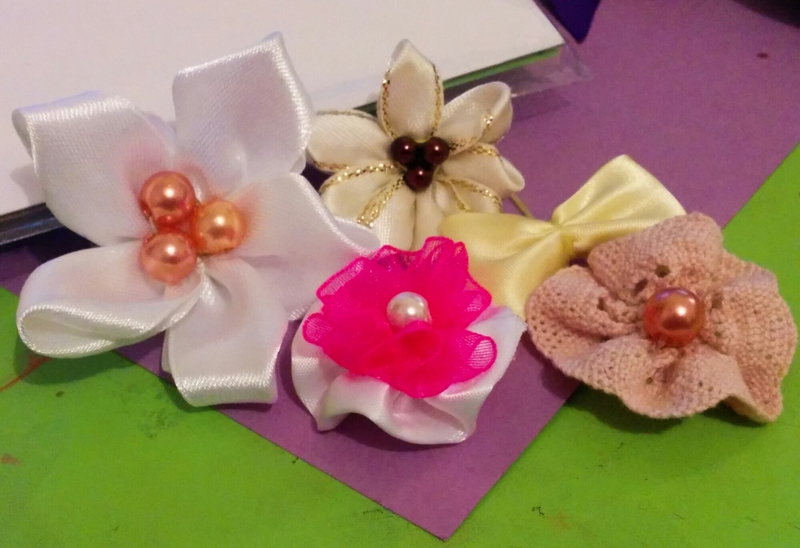 The reason I got to making these is I saw some headbands in a shop which were just felt flowers stuck to a headband base with a jewel in the middle. Like most things, I said to myself, and my friend, ‘I can do that.’ So I did. They are different and I didn’t take a photo for reference, they are inspired by. The ones in the shop were all one colour. I tried to give them some dimension by putting a stitch in the middle of the bottom layer. I was originally going to put them all on one headband, but they turned out bigger than I thought, so I’ll either only put one, or one large and make two smaller ones to put either side. I could make three headbands. I’m not good with choices, and I make my best art and craft when my head switches to autopilot and things fall into place.